A new program in Queensland aims to get older adults on bikes and pedalling to a healthier lifestyle. ‘Seniors on Saddles’ was recently announced as one of 96 programs around Australia funded to promote active ageing, improve skills and foster social connections for senior Australians. 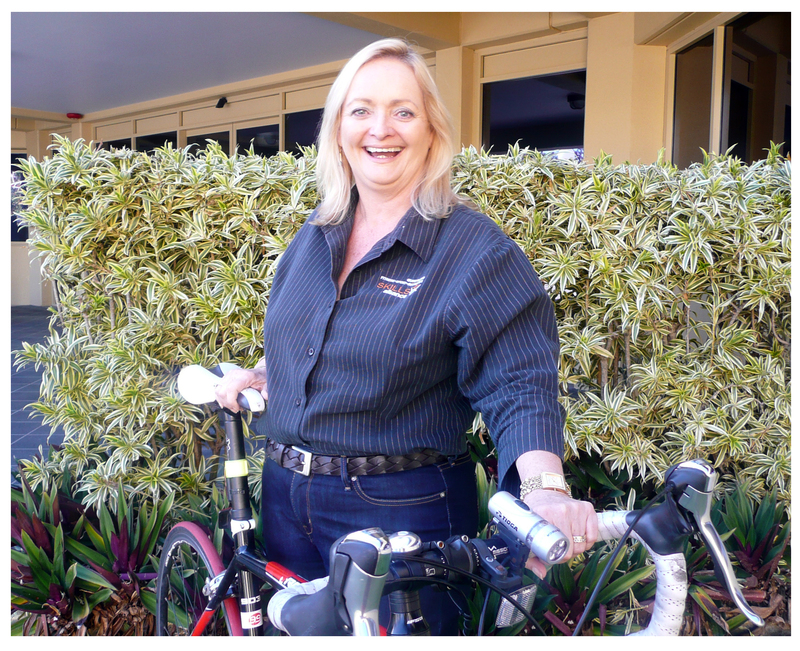 Deb Crompton, 55, Workforce Development and Planning Officer with Queensland Fitness, Sport and Recreation Skills Alliance (QFSRSA) envied colleagues who rode their bikes to work and talked so enthusiastically about the pleasures of cycling. ‘I felt left out because I’d never learned to ride. 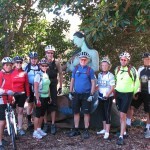 When the Federal government called for applications for the Productive Ageing through Community Education (PAtCE) Program, with its focus on courses for senior Australians, Deb decided to investigate the feasibility of a seniors cycling class for beginner riders. 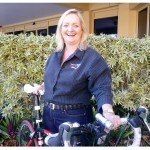 Together with Jon Newrick of Brisbane’s Bushranger Bikes, Deb developed the idea for ‘Seniors on Saddles’ a 5 week program for bicycling beginners aged 60 and over. Jon’s years of experience in teaching people to ride was invaluable in course planning, Deb says. Deb says they are aiming to attract people over the age of 60 who’ve either never learned to ride or are very rusty when it comes to cycling. Would-be cyclists will have to have a health screeningand be fit enough to ride. Apart from that all they need is a willingness to learn. The course location was important, Deb said. 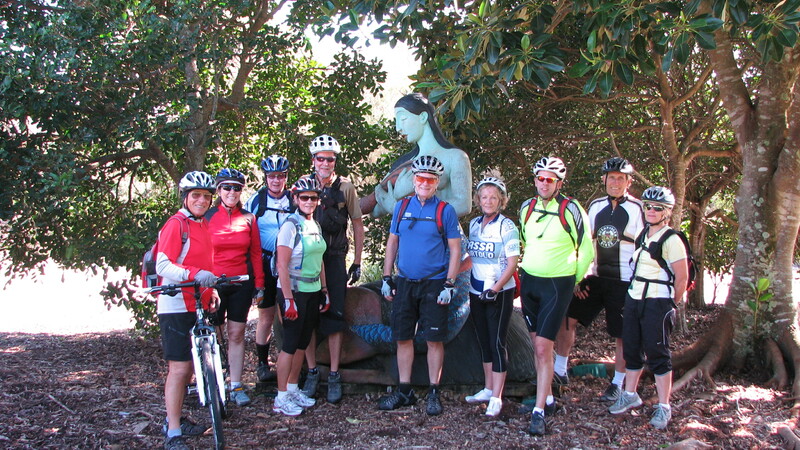 ‘We chose bayside locations that were safe, had a beautiful foreshore, and plenty of shade. ‘Wynnum and Redcliffe are both 30 minutes from Brisbane on the edge of Moreton Bay. Wynnum to the East and Redcliffe to the North. As well as learning how to ride during the twice weekly two hour sessions over 5 weeks, participants will learn bike safety and road rules, navigation techniques and simple bike repairs such as how to replace a chain and fix a puncture. Deb says the addition of a dietician will add extra value to the package. Trainer Jon Newrick has had plenty of experience teaching new riders, from kids as young as 9 to adults as old as 94. Jon says it’s important to keep it fun and engaging so people develop confidence and enjoy themselves. He’s confident that by offering individual coaching he can have a first timer out riding on a bike path in as little as thirty minutes and at most, two hours. He expects that the class will also attract people who haven’t ridden in years. He doesn’t think you ever forget to ride a bike but as people age, ‘the body loses some of those abilities.’ It’s a matter of working with each person in a group to identify what barriers they might face. Once they’re out on a bike path as a group, having fun and feeling more confident, friendships develop. ‘It’s fantastic to see people make social connections,’ Jon says. The aim of Seniors on Saddles is for participants to feel confident about and enjoy cycling, connect with other people in their local area, and set goals for increasing the amount of riding they do once the course is over. ‘Then they can move on and up,’ Jon says. 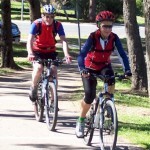 From relatively easy 8 km or 15 km bayside rides, people who want to can continue to improve their fitness. The beginner’s course has been designed to fit well with a more advanced cycling group Jon runs as part of Brisbane City Councils’ Growing Older and Living Dangerously (GOLD) program. The GOLD approach is what keeps people coming back. ‘They keep it fun, they keep it social. They schedule coffee breaks and chances to chat.’ Jon says. The Seniors on Saddles program will aim to create this same sense of group identity where the group takes on a life of its own once the formal training is over. The Seniors on Saddles project is open to anyone over the age of 60 who has either never learned or forgotten how to ride a bike. It’s funded by the Department of Industry, Innovation, Climate Change, Science, Research and Tertiary Education under the Productive Ageing through Communication Education (PAtCE) Program.